Curcumin is a component of the spice tumeric, and can be found in typical Indian foods known as curries, or can be taken as a dietary supplement. Research has shown that curcumin prevents the spread of amyloid protein plaques - thought to cause dementia - in the brain. 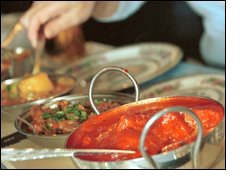 Curries, eaten regularly in Indian communities, contain tumeric and hence curcumin. Research has shown that these Indian communities have a surprisingly low incidence of Alzheimer's. But research also suggests that the proper dose of curcumin to prevent dementia is over 100 g of curry power. This clinical dose may be hard to get through diet. JIVA Curcumin & Fermented Soy Plus and JIVA Fermented Soy & Curcumin Nutritional Beverage offer 500 mg of curcumin per serving. Taken twice a day on a regular basis, this level of curcumin could prevent the debilitating and demeaning illness of Alzheimer's and dementia, plus contain the added health benefits of fermented soy. Diabetes sufferers worry about such complications as heart disease, nerve damage and kidney failure. To add to this already too long list, now research is showing a possible link between diabetes and Alzheimer's disease. Some studies show that just having high blood pressure may be enough to increase the chances of developing Alzheimer's disease. Dr. Vijaya Nair, founder of JIVA Supplements, has spent years of research finding support for the newly accepted theory that most diseases, such as diabetes and high blood pressure, have a root cause in common: chronic inflammation. The body creates an inflammatory response when it encounters toxins in our environment, anxiety, illnesses or other stressors. This inflammation then causes disease. JIVA's nutritional supplements contain ingredients shown to regulate the body's inflammatory response to stressors.